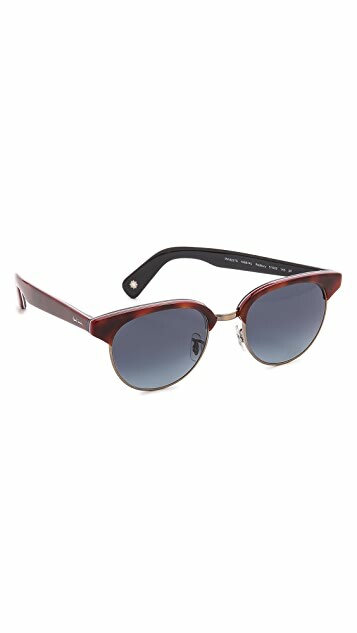 Dark tortoiseshell and antiqued metal come together on these Paul Smith sunglasses. White pinstripes on the edges add a modern touch. Polarized lenses. Case and carrying pouch included. 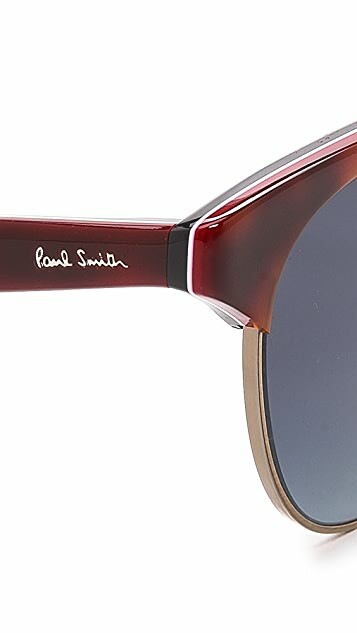 As someone who has no end to his drive and creativity, it only seemed right that English designer Paul Smith would take on eyewear. 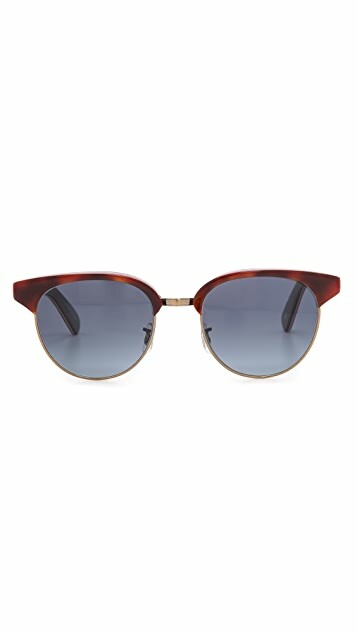 The brand paired with Oliver Peoples to develop high-quality pieces, with traits that make each pair distinctly part of the Paul Smith family. 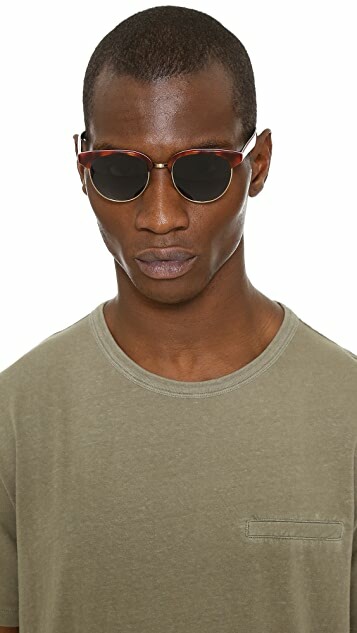 The collection’s sunglasses and optical frames are loaded with playful details that show the benefits of making eyewear a key piece of any wardrobe.